Originally Mira was called Ca' Zoxana, then changed it seem to honour Mira, the hometown of San Nicolò, protector of people who travel by inland waterways - something that the boatmen in Mira were specialists in. Already inhabited by Roman times (as the name Oriago shows, 'Oris lacus': lake at the edge of the lagoon), the area has for centuries enjoyed a certain prosperity owing to the commercial traffic along the river and the canals, trade that managed to survive the fall of the Venetian Republic and that in some ways is still carried on by the seasonal boat traffic that plies between Padua and Venice offering one of the most suggestive waterway itineraries in the world, passing dozens of extraordinary great country houses (from Villa Malcontenta to Villa Widmann) - and celebrated fish restaurants. 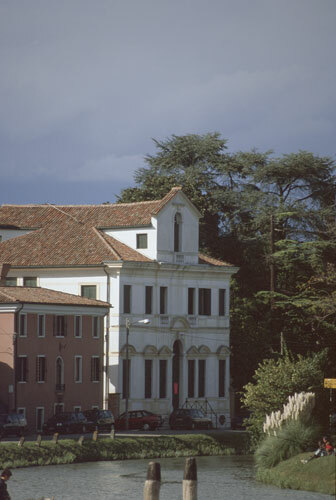 Few architectural masterpieces have remained in the heart of the community like the stupendous building complex of Villa dei Leoni right in the centre of the town. This elegant old residence on the bank of the river is the premises for some of the Municipal offices and a library brimming in books on the Riviera. The park is ideal for visitors looking for a quiet shady corner. The small but delightful theatre has become an interesting part of the most recent Italian theatrical season thanks to its carefully targeted and well-thought-out billboard.